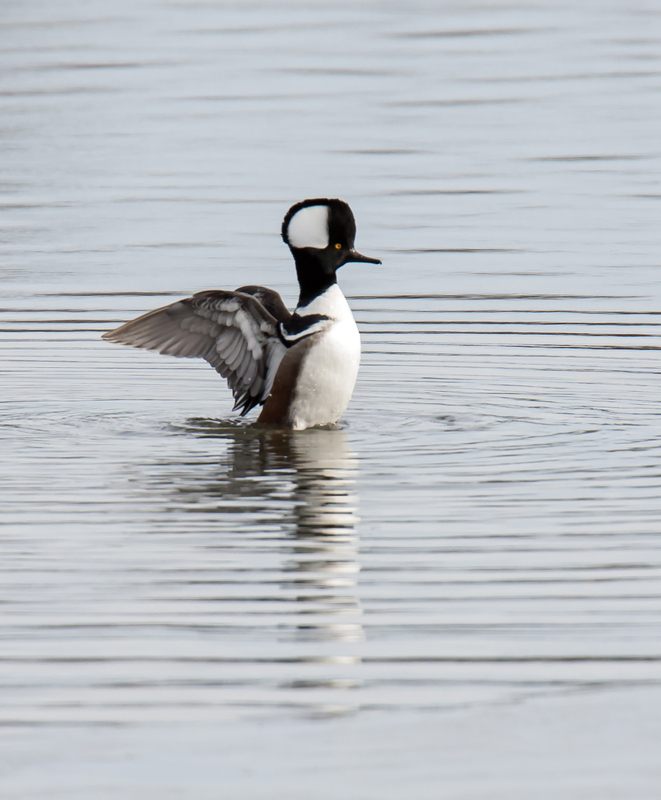 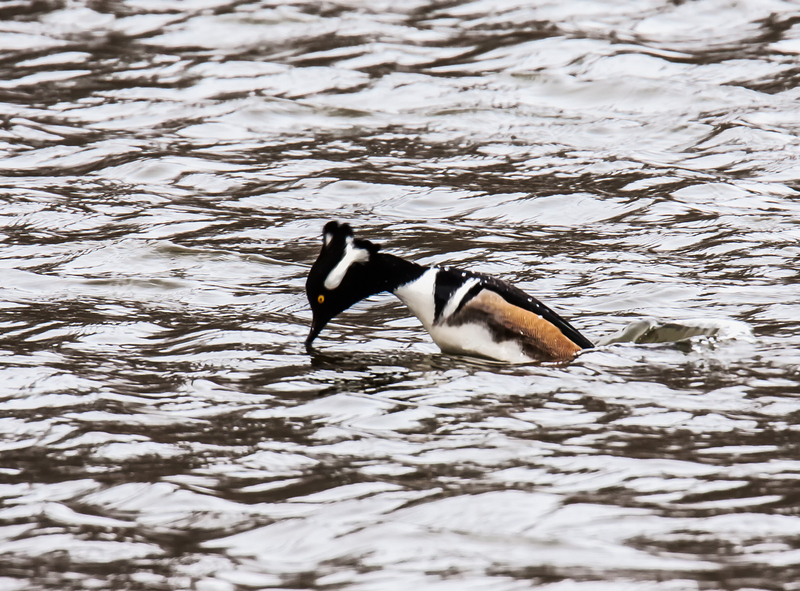 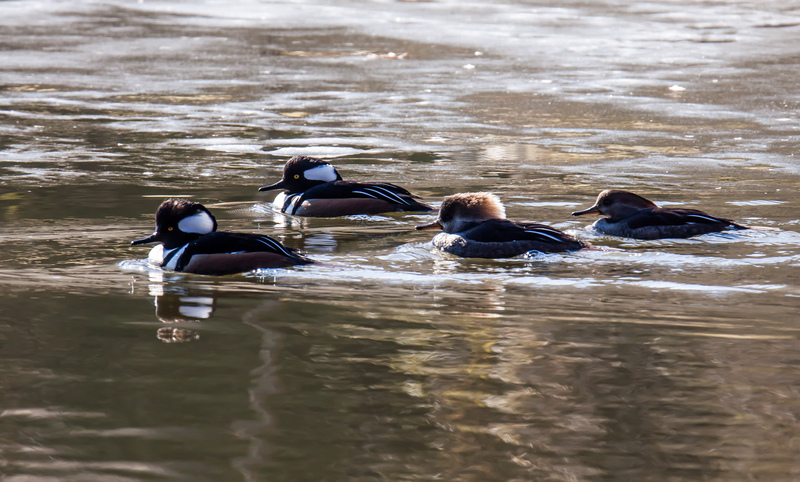 With most birds the shape of their heads is a constant, but with Hooded Mergansers (Lophodytes cucullatus), the shape can be wildly variable. 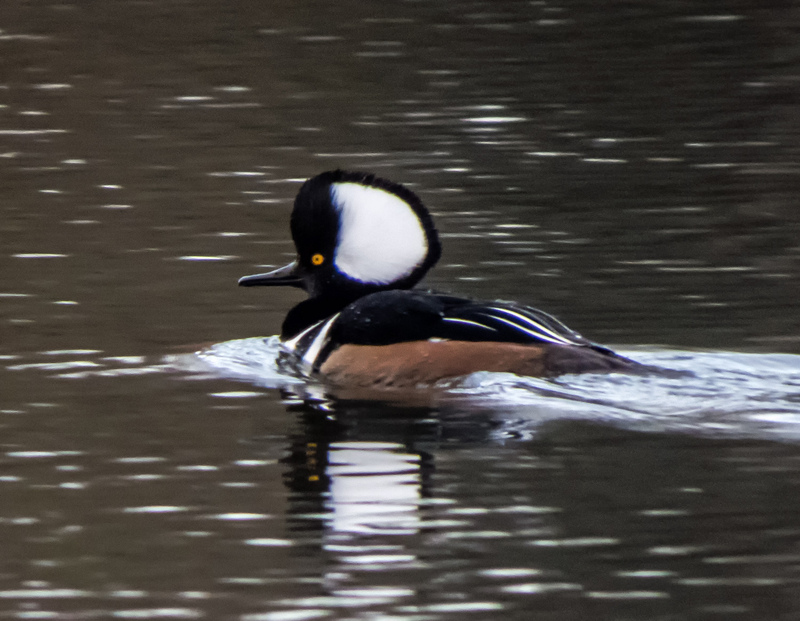 I am not really sure how of the bird’s anatomy, but the “hood” appears to be pretty floppy, creating the effect of multiple “hairstyles.” Here are a few of the styles that a male Hooded Merganser was sporting during a brief period last week at a local suburban pond. 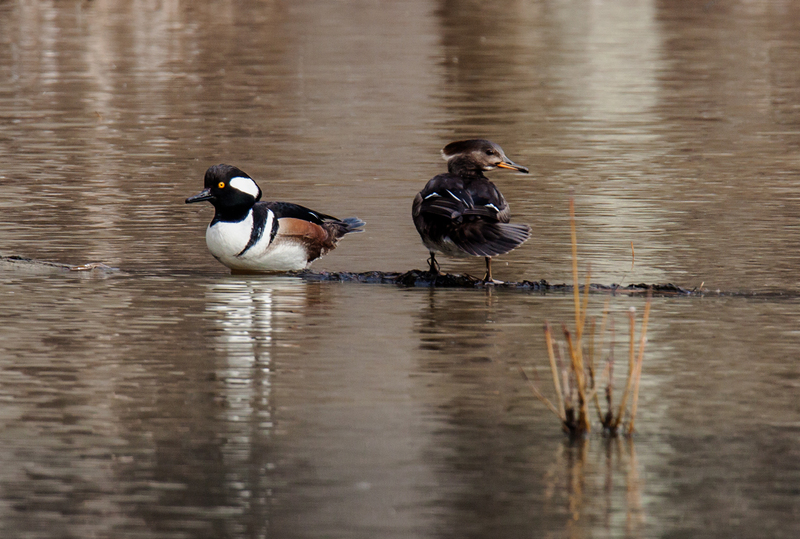 Ducks do not seem to like to be alone. 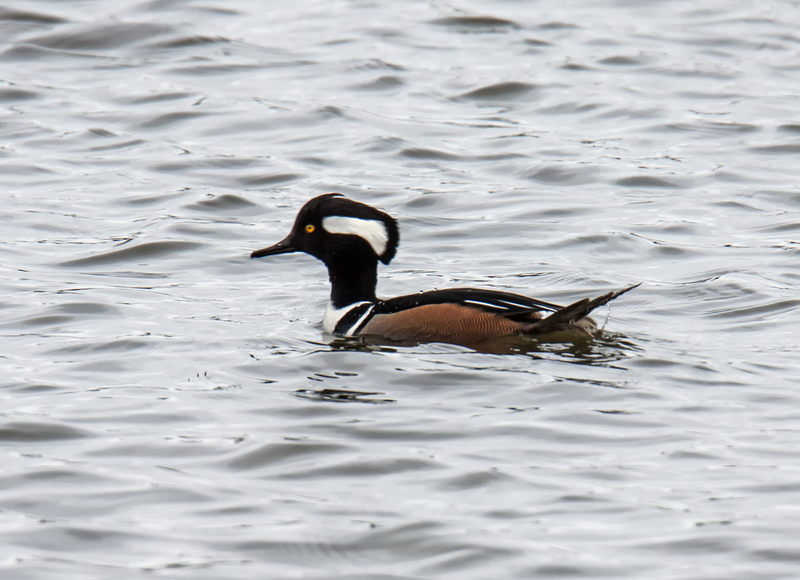 I will occasionally run across an odd solitary duck, but more often than not, the ducks that I encounter are in pairs or in larger groups. 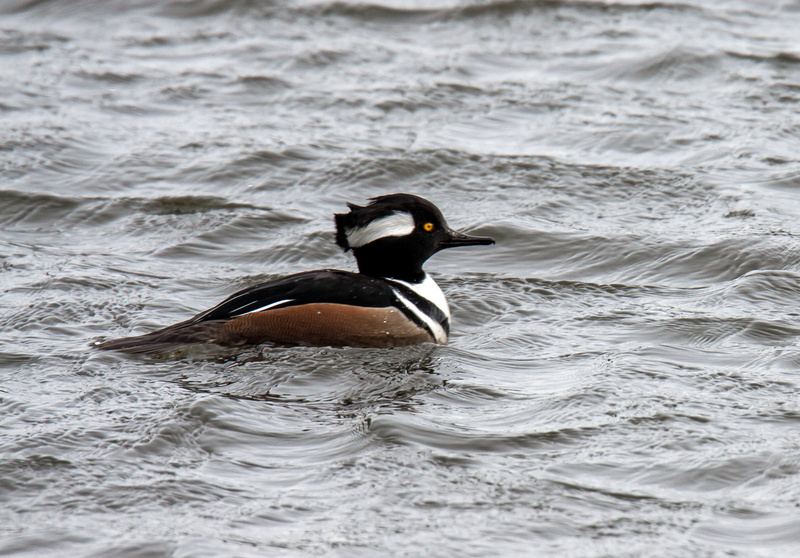 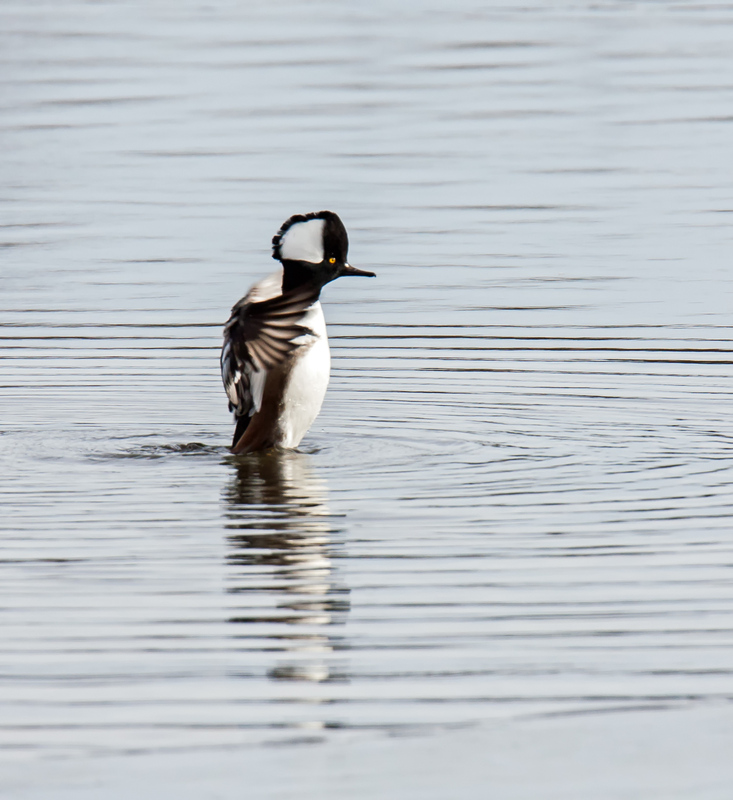 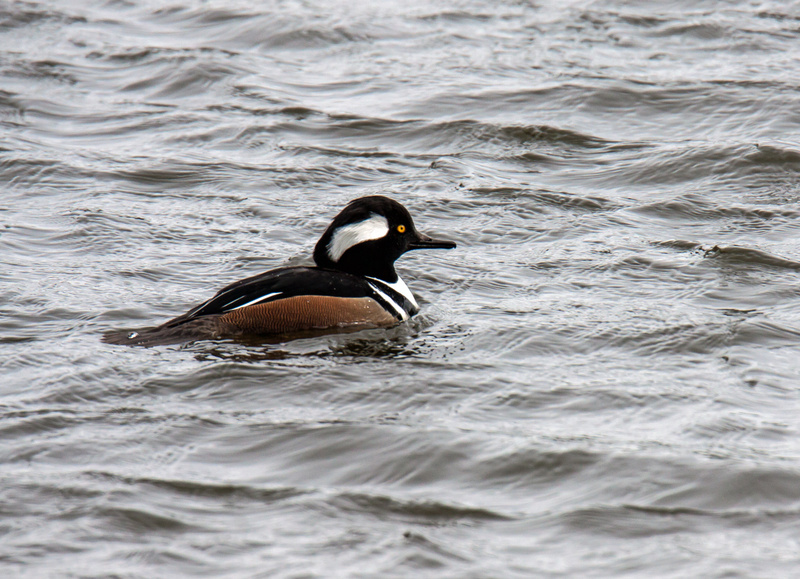 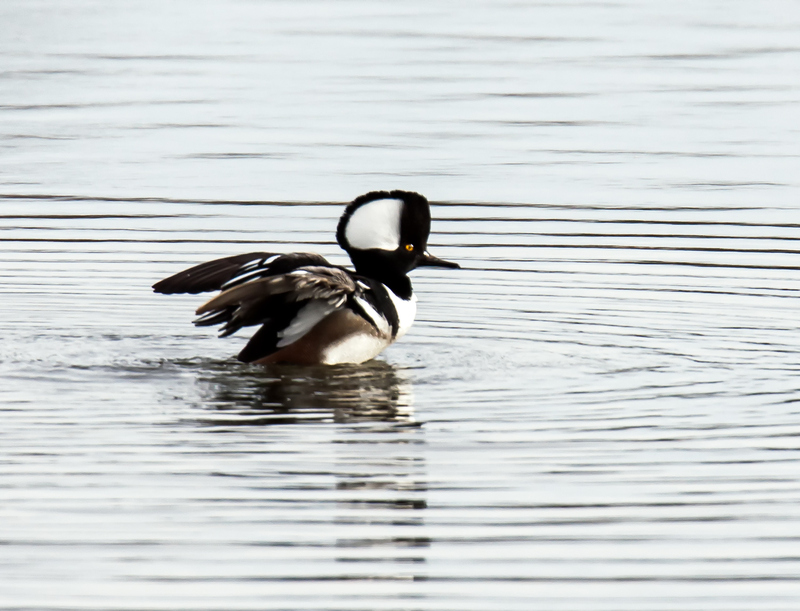 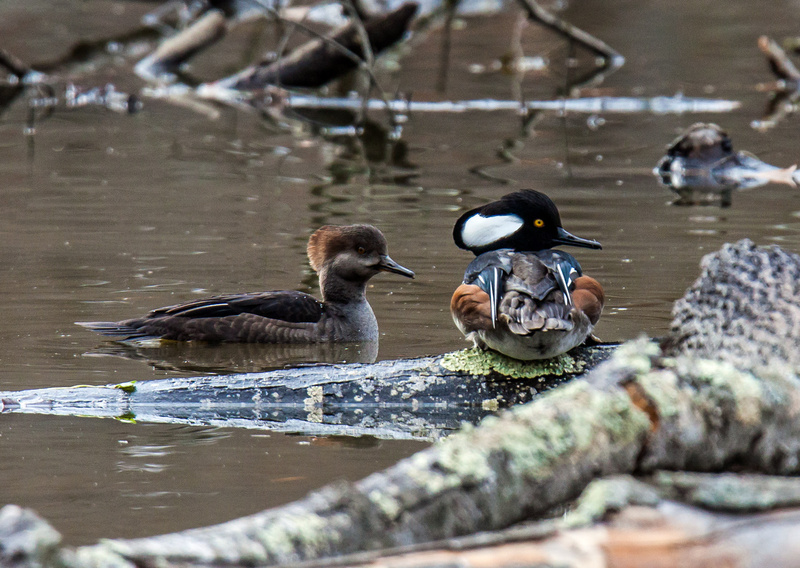 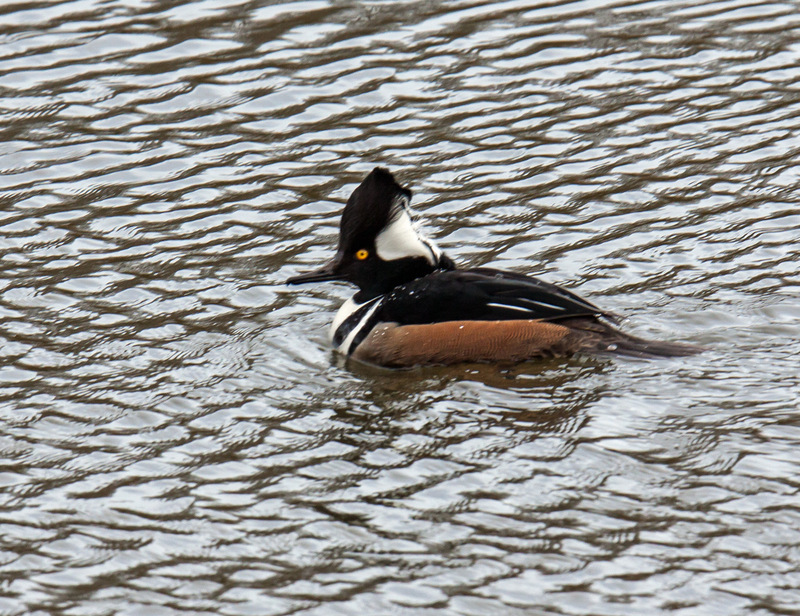 Sometimes the pairs are mixed-gender, like this Hooded Merganser (Lophodytes cucullatus) couple that was relaxing together recently at Huntley Meadows Park. 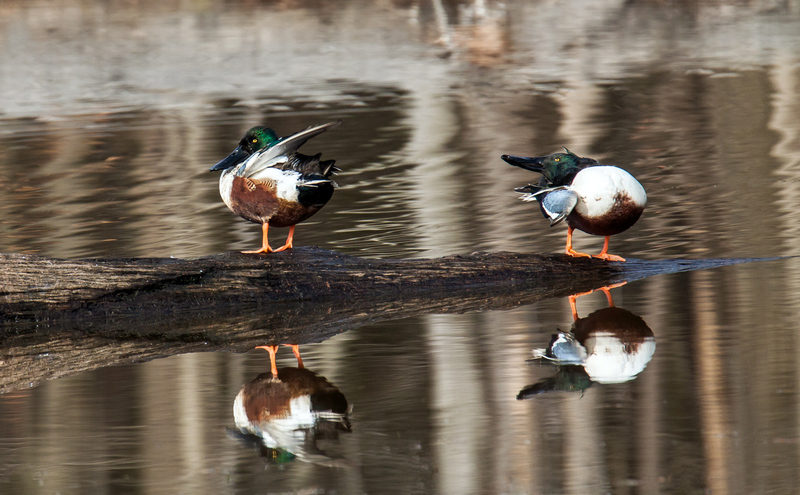 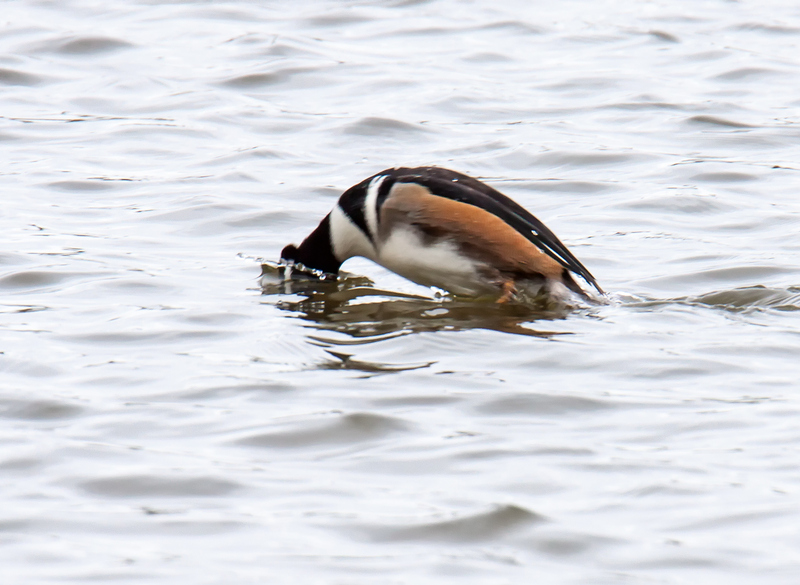 At other times, the pair may be of the same gender, like these two male Northern Shovelers (Anas clypeata) at the same park that were preening and grooming themselves early one morning—one Facebook viewer speculated that they were getting ready for dates.